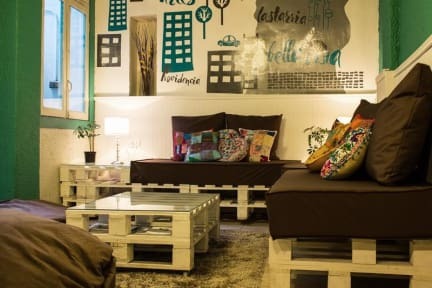 Hostal Forestal i Santiago, Chile : Boka nu! "Vi vill att du ska känna Santiago de Chile, att de verkligen gör din resa en resa. Låt dem ta en karta och besöka alla hörn av vår stad så att de blir kär i det och ta en oförglömlig upplevelse. " Juan really made this stay, getting everyone together for potluck and drinks for Christmas eve. Really nice chil party wibe (not in the crazy sense). Also a plus that the quiet time was enforced after midnight. Only small minus was that the beds were shaky and had no shelf for the phone, and that the staff took away the breakfast at 09:59, while I was taking my breakfast... Will stay again if I get the chance. Nice staff, location and breakfast! Good value for money. Facilities are OK. Would stay again!